Last year, I made some pretty aggressive New Year’s Resolutions. Among them was to become a holistic nutritionist (which I just started school for this month!). So I started to think about why I didn’t achieve my goals – the real root cause of why I couldn’t do them. And then I realized, it wasn’t that I couldn’t do them, they were just either so big or so intangible that they wouldn’t have been attainable anyways. 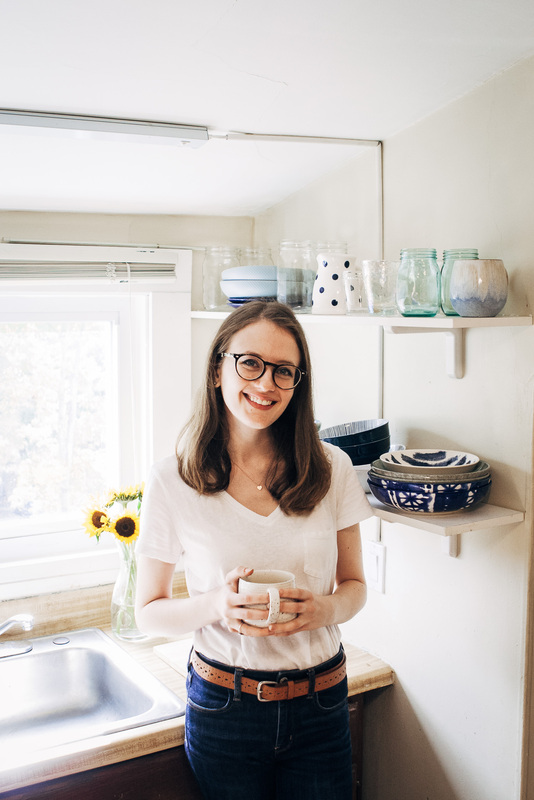 Looking back, it was kind of ridiculous to push myself to become a nutritionist in one year – especially when I was still recovering from an illness. Not to mention that most nutrition programs are over a year long themselves! Keep your feet on the ground. Want to make an extra $10,000 a year or lose 100 pounds? Stop and think about if this goal is actually realistic for where you are in your life. Do some research. It’s great to dream big, but dreaming too big can sometimes set you up for disappointment. Make your goals known. Tell a friend, tell your mom, post on social media, whatever. This will make you accountable to your resolutions. A good friend won’t let you lose track of your goals! Give yourself checkpoints. Say your resolution is to gain new followers on Instagram. Calculate how many followers you might reasonably acquire per month, then evaluate that number each month. Depending on where you are, you can either change or continue your current strategy. And by giving yourself checkpoints, you can stay on top of your goals and make them more attainable. Do it with a friend. Trying to get back into shape? (I know I am!) Make that resolution with a friend. Not only will you be held more accountable, but you’ll have someone to cheer you on if you ever feel frustrated. Having a support network can make all the difference! I know it’s easy to say “This year will be different!”, but I really believe that we can all meet our resolutions! You just need the right mindset if you’re going to succeed. But a little help doesn’t hurt, right? This year, one of my goals is to incorporate more protein into my diet – something that my doctor said I needed to get more of. Even though I no longer put labels on my diet, I prefer a plant-based way of eating (it’s what makes me feel best!). 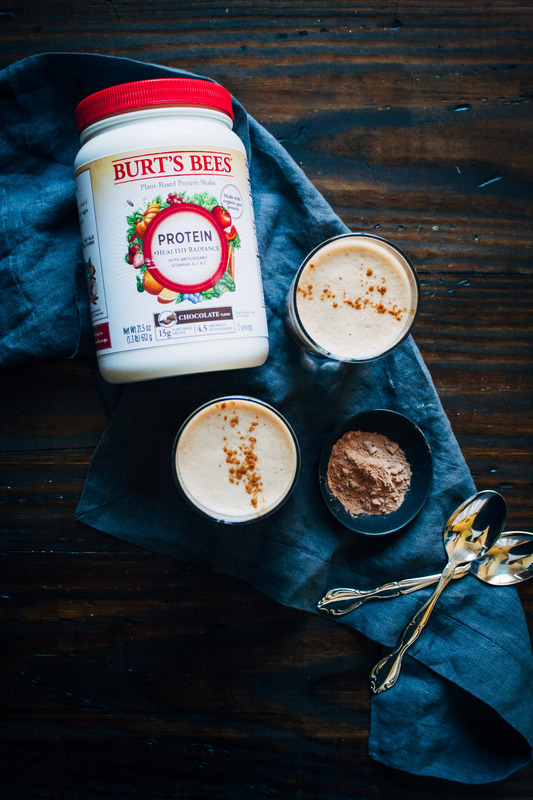 So when Burt’s Bees reached out to me about trying their new line of plant-based protein shakes, it was an automatic “heck yes!!”. With all of this goal-making, I’m definitely going to need an added nutrition boost to keep up. Plus coffee. Always coffee. 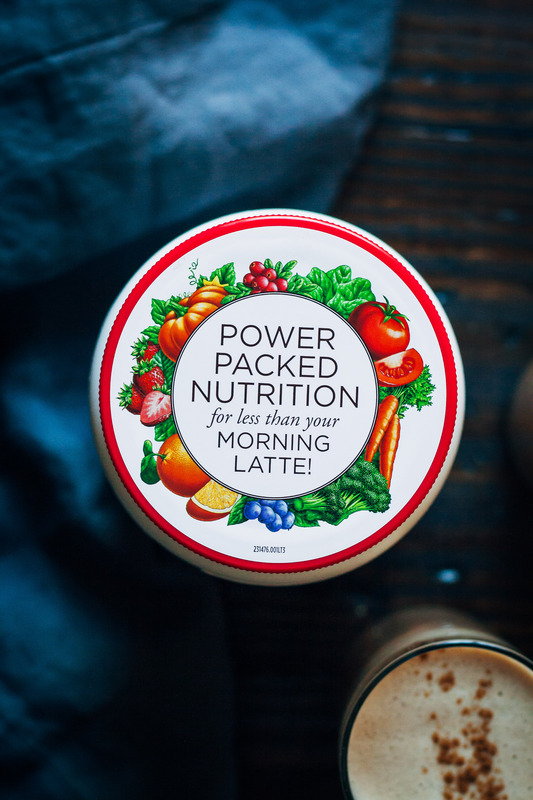 So I thought to myself, why not combine the two into a delicious, plant-based power mocha?! The result is what you see here, and it’s pretty darn yummy. The base is coffee and almond milk, blended up with almond butter for extra creaminess. Seriously, it’s crazy how much creaminess the almond butter adds. 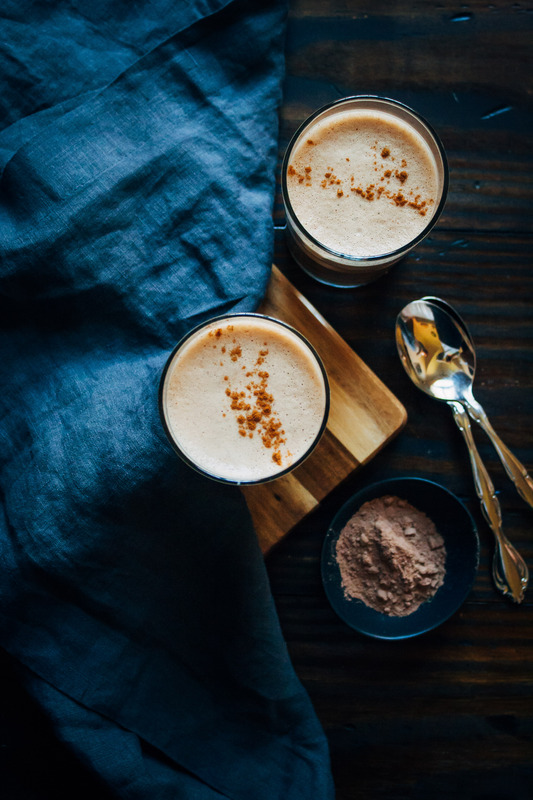 Then you add in the Burt’s Bees™ Plant-Based Protein Shake in Chocolate, with a little maple syrup for sweetness and a touch of cinnamon. 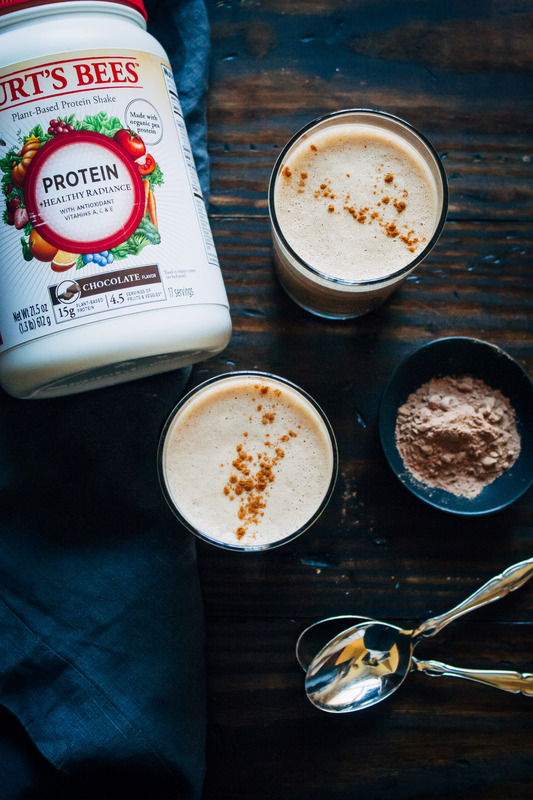 Blended all up, it’s the perfect protein-packed drink to start your day and shake up your resolutions! 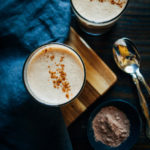 This power mocha is the perfect drink to fuel your day, made with Burt's Bees Plant-Based Protein Shake (I used Protein + Healthy Radiance) and a secret ingredient that makes it extra creamy! In a blender, combine all ingredients. Blend on high until everything is evenly mixed. 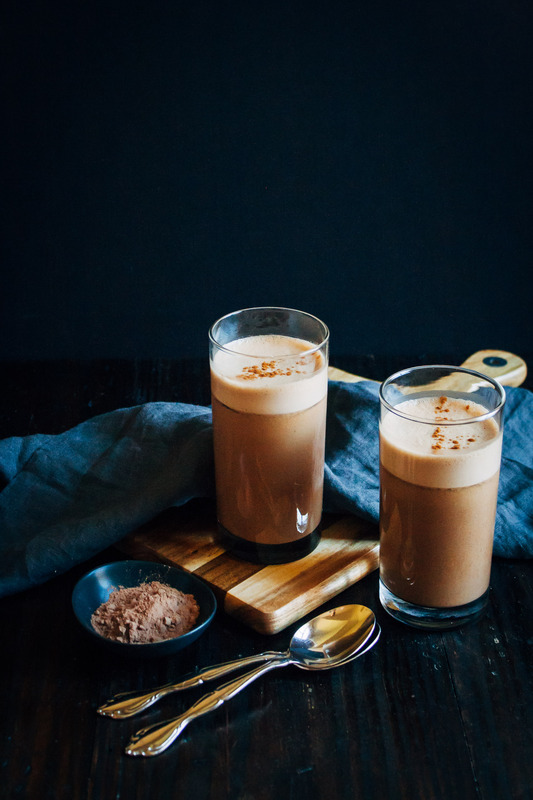 To serve cold: add mocha to glasses with ice cubes. Garnish with cinnamon. 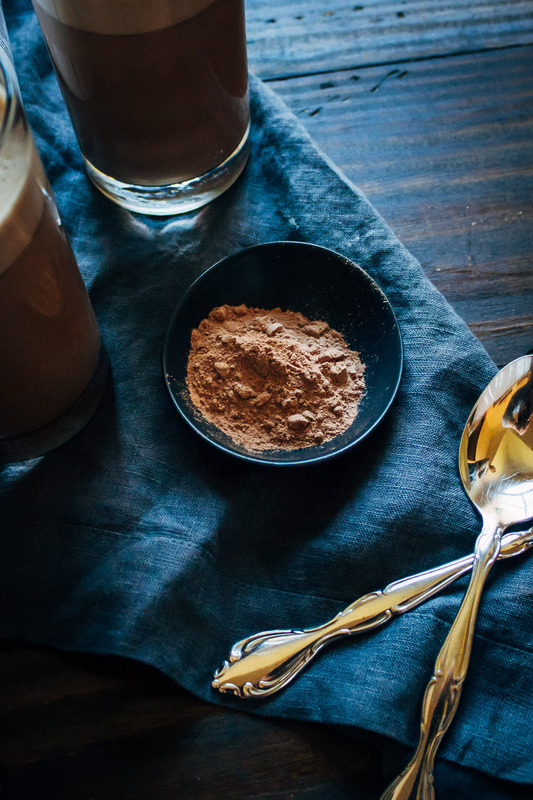 To serve hot: bring mocha in a saucepan to medium heat. Just before it boils, remove from heat and pour into mugs. Garnish with cinnamon. This post was created in partnership with Burt’s Bees. All opinions are my own! 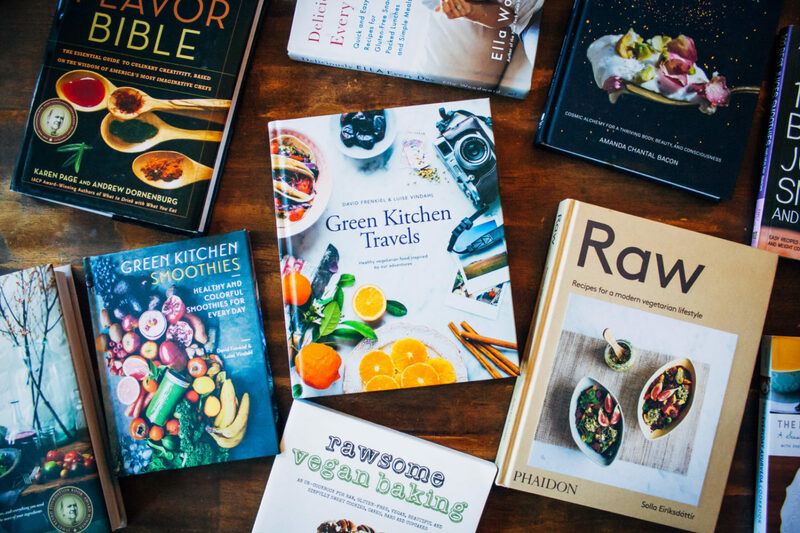 Thank you for supporting the brands that support Well and Full. YUM!! I had NO idea Burt’s Bees did protein powder, will definitely need to check that out. I love what you’ve written about resolutions. I’m definitely a “dream TOO big” kind of person sometimes, which I think sometimes means I end up achieving less than I would have if I stuck to slightly smaller goals. This year I’ve decided to focus on 3 goals rather than a million, and I feel better about managing to actually achieve them! This looks AMAZING! I love this post on resolutions- super grounded. I’m so excited to hear about your holistic nutrition schooling! So I’m weird and I don’t like chocolate… Do you think this would work with the regular vanilla protein powder I already have at home, so it makes more of a vanilla latte flavour? Oh yummmm! Sarah, this looks amazing. I am sitting here drinking my normal coffee and feeling v jealous! It’s the almond butter, girl! You’ve got to try it in your coffee! !